The Volvo Ocean Race is proud to announce its new youth sailing initiative, the Volvo Ocean Race Academy. This Academy marks the continuation of the Volvo Ocean Race’s commitment to youth sailing worldwide. The project contains three activities to involve the children of each of the host ports. 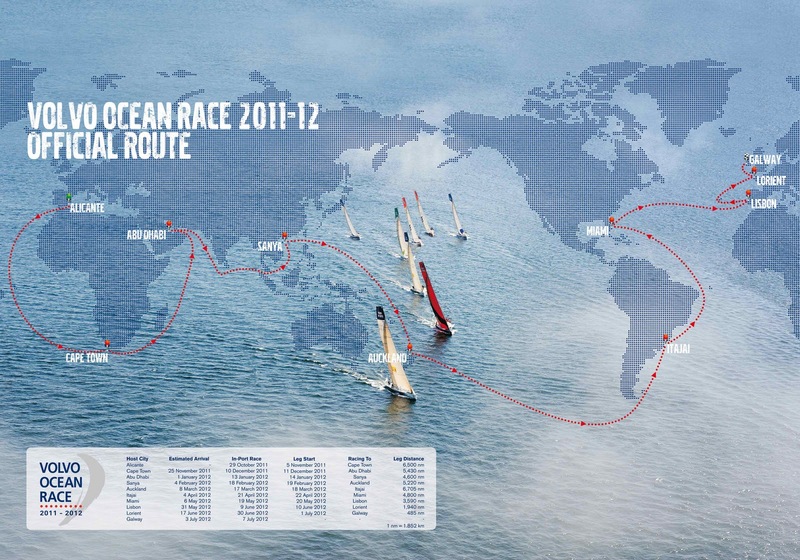 Firstly, the race will take over 14,000 children worldwide out on the water to “Try Sailing”. For the experienced young sailors of these countries, there will be the Academy Team Racing Series. Finally, there will be an educational programme to allow the host port schools to become involved in the race and sailing as a sport. The "Try Sailing" experience will take children from the local schools and communities out sailing in each host port, in supplied 5.6m Ludics training dinghies. They will be shown some basic sailing skills and learn about the Volvo Ocean Race. The race is also working on individual sailing projects with the local sailing associations and clubs to help leave a legacy in each of the ports, which will facilitate even more young people trying out sailing. The competitive pinnacle of the project will be the Academy Team Racing Series, which will be held in Optimists dinghies in each of the Host Ports. The two-day regatta will be run in the Race Village harbours, and the race organisation is working with the Optimist Class to organise these regattas. “The Volvo Ocean Race has always been committed to helping improve youth sailing and encourage young people to get out on the water. With the Try Sailing initiative we hope to get local kids energised about sailing and our race,” explained Knut Frostad, CEO Volvo Ocean Race. “We want to leave a lasting legacy in each of the Host Ports we visit so we are working with the local sailing associations to help achieve this goal,” he added. “We will be activating an education programme in association with each of the stopover organisations, which will also allow us to bring school children down to the Race Village and help them learn about the race. The Volvo Ocean Race will have a total of 40 Optimists for the team racing series, branded to look like the Volvo Open 70s taking part in the upcoming race. Each Optimist team will be given the opportunity to meet the team under whose colours it is racing. The teams will consist of four children, one of whom must be from the opposite gender. The four-boat team racing will be held on the weekend before the In-Port Race and Leg Start in each of the stopovers and will have a special two-day schedule in the start port of Alicante, Spain and finish port of Galway, Ireland. The Academy Team Racing will also be used to help educate the sailors, coaches and race officials of the countries the race visits, as The Academy in conjunction with ISAF (the International Sailing Federation) will run coaching clinics the day before and during the team racing. The Optimist class is the world’s largest youth dinghy fleet with over 132,000 registered Optimists worldwide. The boats have a proven track record as an excellent training dinghy, with many Olympians and Volvo Ocean Race sailors beginning their sailing careers in the class. Spanish Olympic Gold and Silver medallist Iker Martinez, is a great example. Alongside Martinez’s Olympic and World Championship wins, he has competed in two Volvo Ocean Races (2005-06 and 2008-09). In his second he was the helmsman of Telefónica Blue, which finished in third place overall, and which won four In-Port Races.